Cut pattern and fabric strips. Use safety pin/string to turn right side out. Make different widths, one for all your friends! 1. Measure your plastic headband carefully from end to end for the total length. Write this down. 2. Taking your brown grocery bag or freezer paper, draw a pattern. You will cut a long narrow rectangle shape 2” wide by ____" long. Fill in the blank for your length by taking the length of your plastic headband and adding 1”. Mine was 14” so my pattern will be 15” long making my pattern strip 2’ wide by 15” long. Draw pattern and cut out. Write the name of what the pattern is on it so it may be reused. 3. Using your pattern, pin and cut out 1 strip of fabric in both of your contrasting pieces making a total of 2 fabric strips. 4. 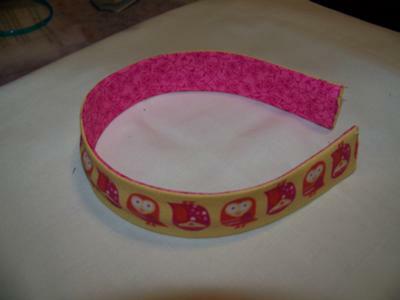 Cut one strip of interfacing from your pattern. 5. Place your interfacing on one of the fabric pieces on the wrong side. 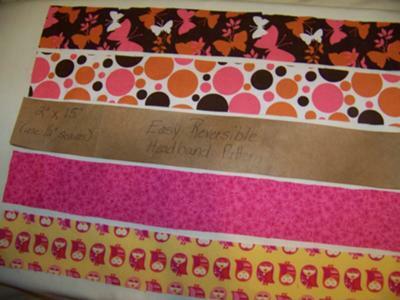 Following manufacturer’s directions, use an iron to fuse interfacing to fabric. 6. 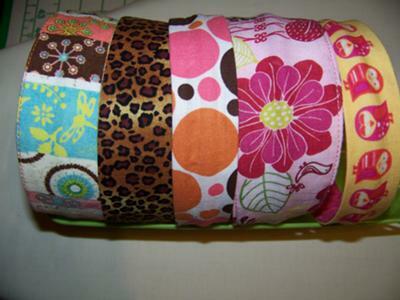 On each strip of fabric, hem down 1 short side 1/2" with your sewing machine. 7. Take a safety pin and a piece of kite string that is longer than your fabric strip. Tie the string to the end of safety pin using a double square knot. Pin this to the right side of one for your fabric strips about 1” down from the short side that you did not hem. Make sure pin is in the middle of strip and string in middle going straight down the strip. 8. Take other piece of fabric and lay the right side on top of right side that has pin/string assembly. Pin the two strips of fabric together using straight pins. 9. 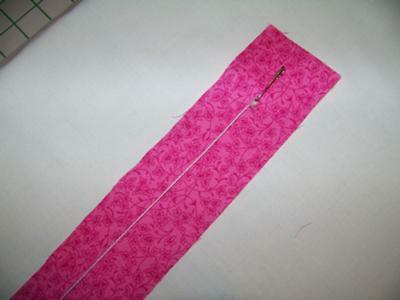 Sew your strips of fabric right sides together with safety pin/string inside and string hanging out the bottom of strip. Using a 1/2" seam, start at short hemmed end, sew up one long side, pivot at the corners, sew down other long side to the end. Don’t forget to back stitch at start and at finish. 10. Clip the corners being careful not to cut stitches. Trim down sides of fabric. 11. Using the string that is hanging out of sewn strip, carefully pull to turn the fabric strip right side out. 12. Carefully remove safety pin/string and poke out corners of sewn end. 14. Insert the plastic headband on whatever side you feel like wearing! Now make one for all your friends! this project was fun and it works really well but I stink at sewing. What a great idea!! This project looks so cute!! I will ask my mom if I can do this one. Headbands are one of my fave hairpieces!! My vote is for this entry! I just realized my husband took the camera on a weekend trip - so I have no pictures to show . . . so maybe it won't work for me this time. BUT out of all the projects - I would use this one in my class - so it has my vote! 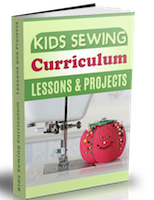 Good job to the other projects especially with their detailed directions - but this one I believe is interesting for kids, simple enough for kids and useful. Good pictures. Cute fabric. Thanks for the idea! I like this one and am going to make it! I really love this project and it is a unique idea! Join in and write your own page! It's easy to do. How? 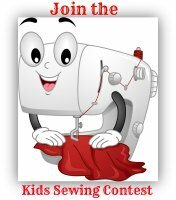 Simply click here to return to Your Sewing Project.